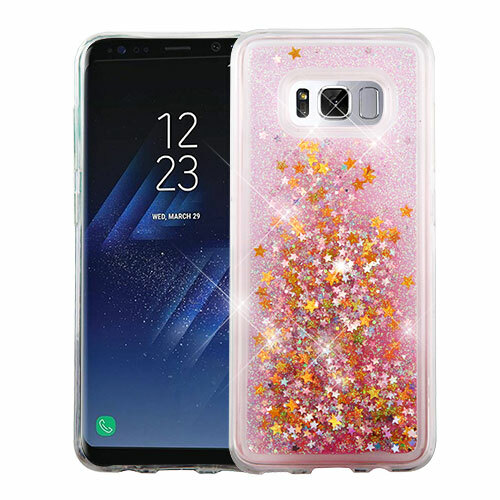 AccessoryGeeks.com | REDShield Slim & Flexible Anti-shock Crystal Silicone Protective TPU Gel Skin Case Blue | Free Shipping! 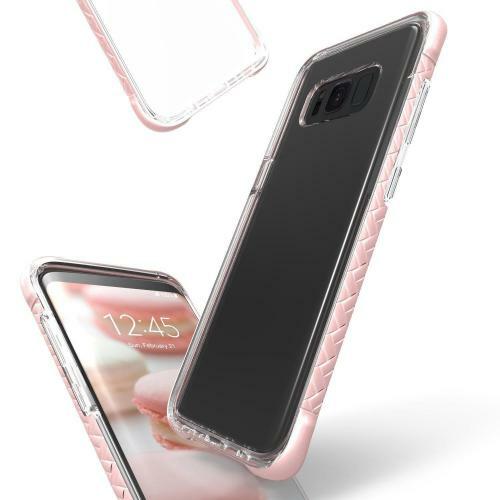 Scottii [Samsung Galaxy S8] TPU Case with Removable ROSE GOLD Borders and Clear Back This case is designed to be the most lightweight case, you'll barely notice it's there! Secure your Samsung Galaxy S8 Plus with protection against daily use scratches and nicks without any unnecessary hassle or bulk. Preserves access to all Samsung Galaxy S8 Plus features, & super easy to install and remove. 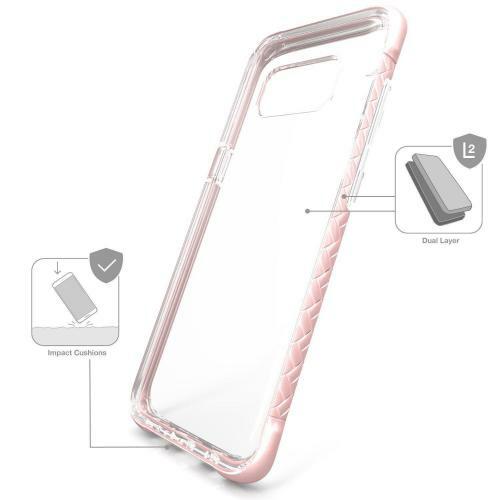 This case is designed to be the most lightweight case, you'll barely notice it's there! Secure your Samsung Galaxy S8 Plus with protection against daily use scratches and nicks without any unnecessary hassle or bulk. 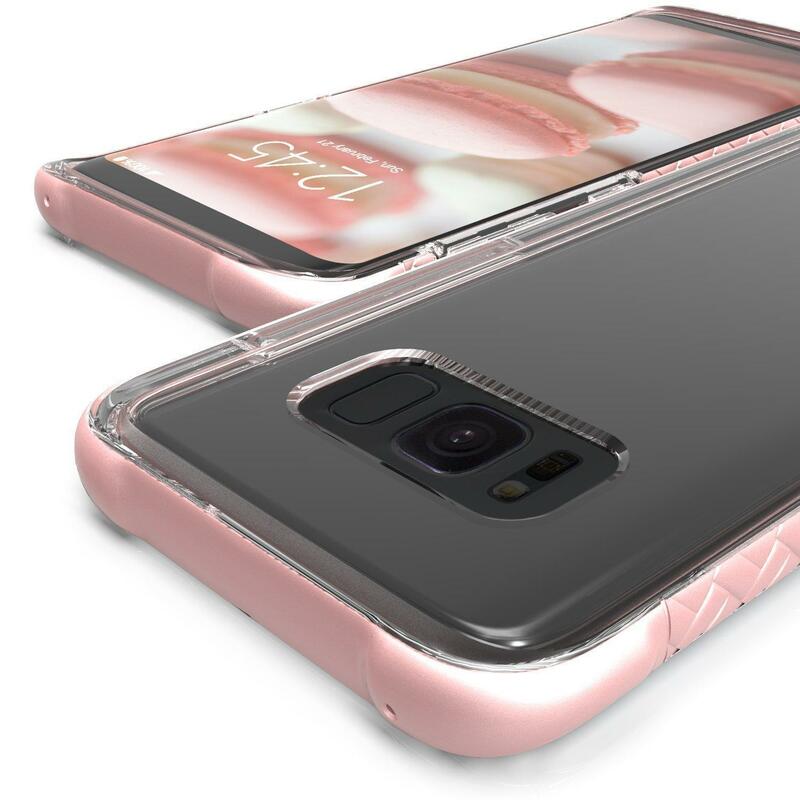 Designed to perfectly wrap around your Samsung Galaxy S8 Plus in an evenly dispersed layer of clear protection. Safely maintain the device's sleek profile with this naturally contouring case. 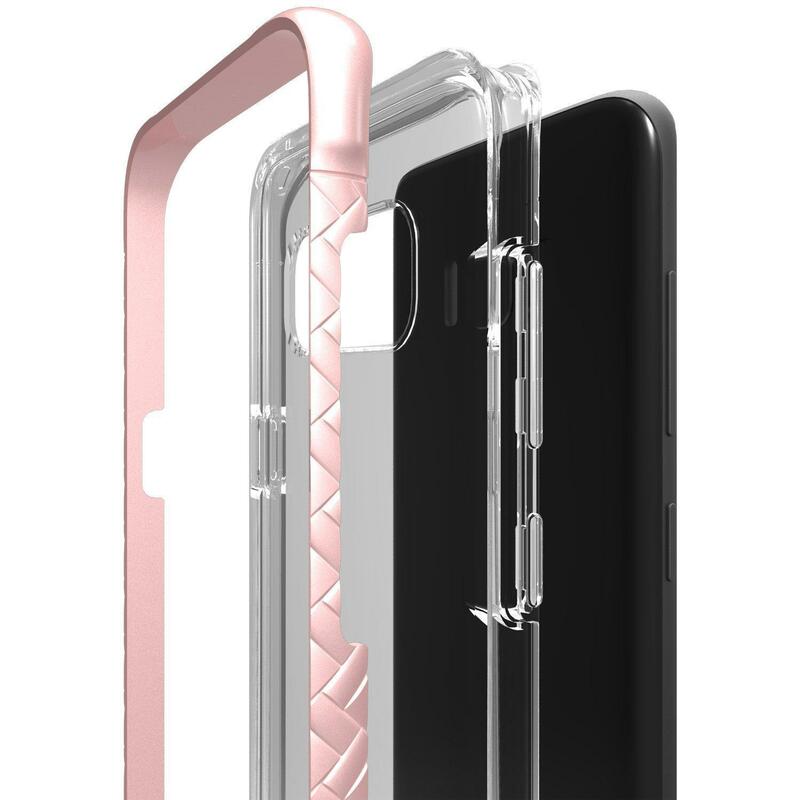 Enjoy an ideal fit every time it fits snug on your device without any loose gaps or edges! Finally an ultra slim protection made to feel great in hand! 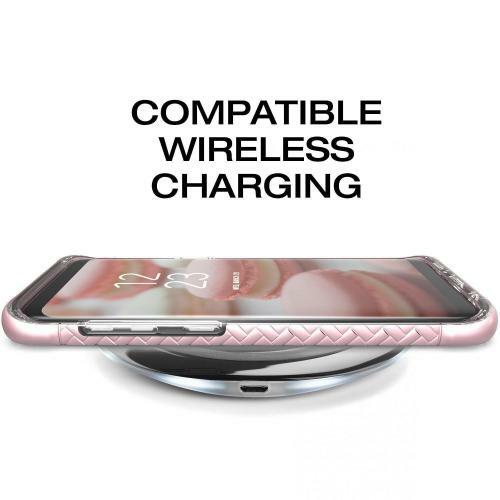 Sturdy and flexible TPU allows a comfortable grip on your device without compromising any of the device's slim profile. 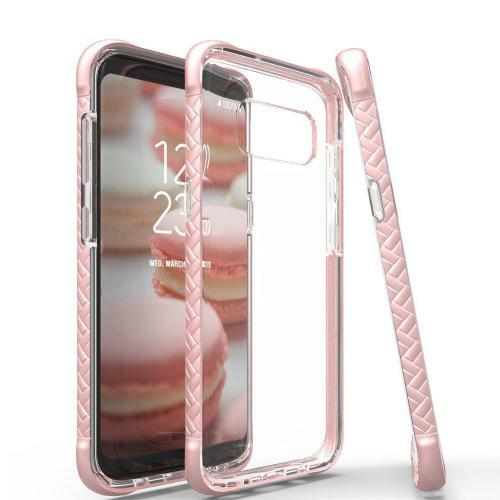 The lightweight protective material is non-slippery and works like a second skin to allow better grip on your device than without the case. Works amazing! I've already dropped my phone an ample times and this case has saved my phone. Happy with this product. Worth the price! 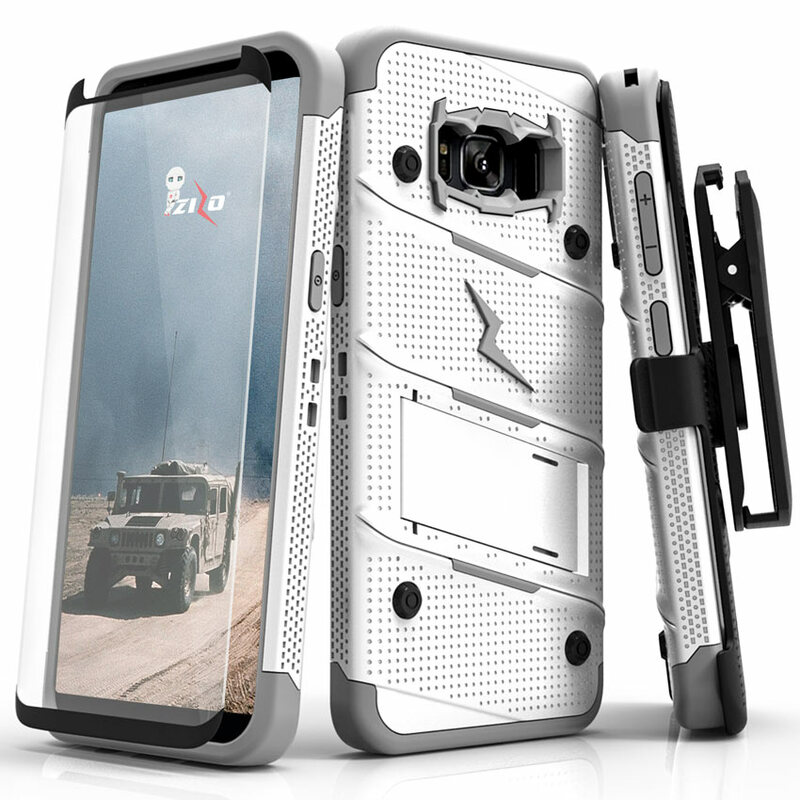 Great case fits perfect and does not make the phone look bulky. Protects well I've dropped my phone a few times and the case still in good condition. Overall very satisfied and happy. Great case, sturdy and have dropped several times. 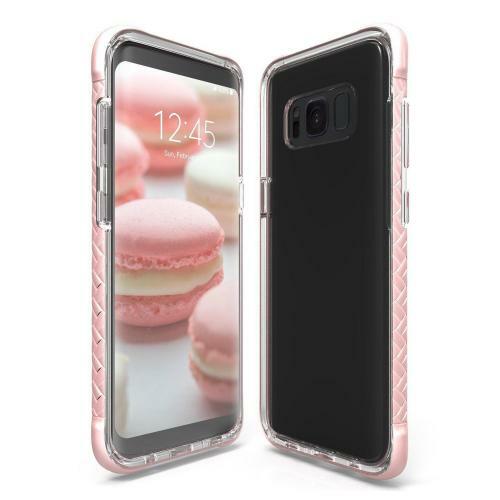 The colors match the Galaxy S8 exactly and the case still gives it a slim feel. The side has a pink color and clear back. Works great! Excellent quality, stylish and cost effective. This case is so thin, but it does offer protection from drops, bumps, and scratches. It looks amazing on my phone and goes on/comes off easily as well.